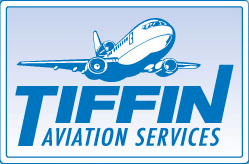 Tiffin Aviation Services offers a variety of FAA Approved School Part 141 and Part 61 Flight training programs from Private Pilot through Airline Transport Pilot as well as Flight Instructor Certification. Our facility at the Nogales International Airport provides for comfortable and well rounded base for your flight training. Located in southern Arizona south of Tucson at an elevation of 3996’ we have outstanding year round flying weather and temperatures 10 to 15 degrees cooler than the lower elevations.